We don’t have a ton of employees on our farm. 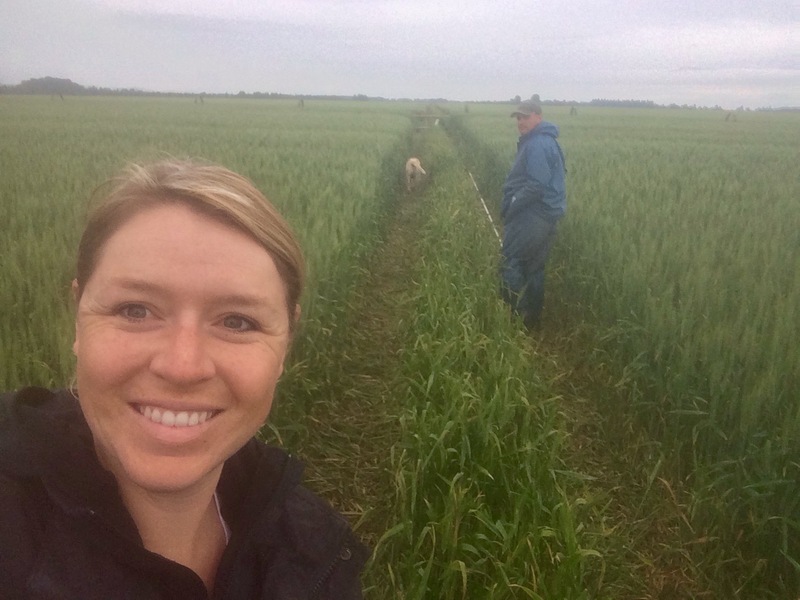 So when it comes to irrigation season, the “irrigation crew” lies in the hands of…everyone. So today Matt, Yukon and I headed out to move wheel lines in our wheat field. 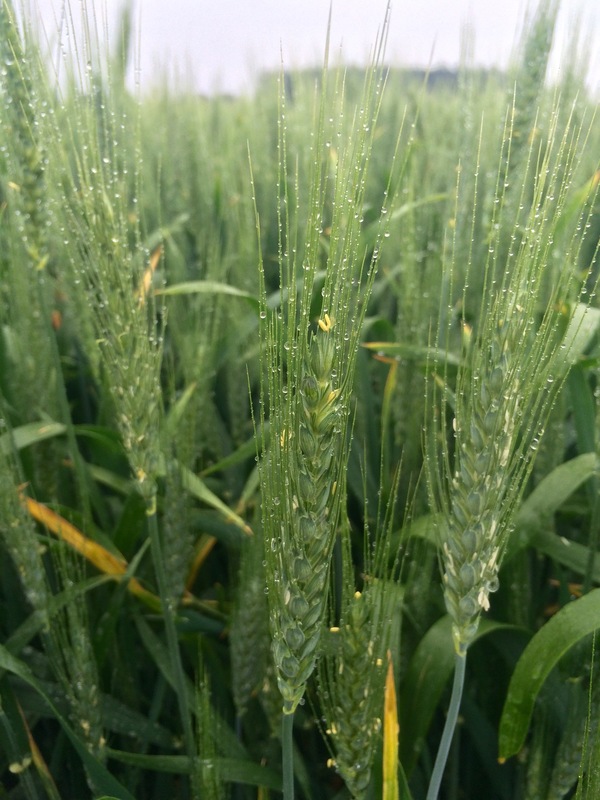 We got some rain last night as you can see from the moisture clinging to the awns (hairy looking things on the wheat heads). Because of the moisture and the extra weight of the rain, we aren’t irrigating again until it dries out. Otherwise we may have more areas that lodge. 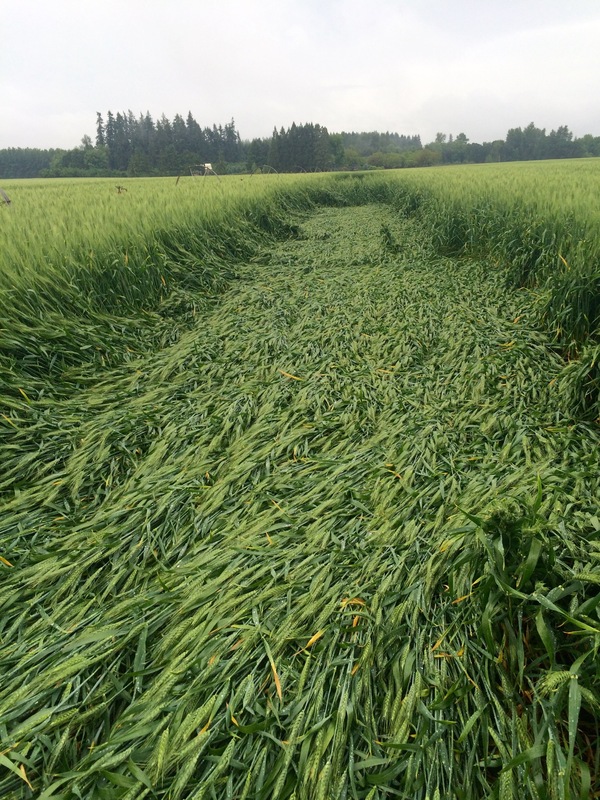 These are areas in the field where the wheat falls down due to the weather or too much nitrogen. These areas will be much harder to harvest and have a much lower yield. 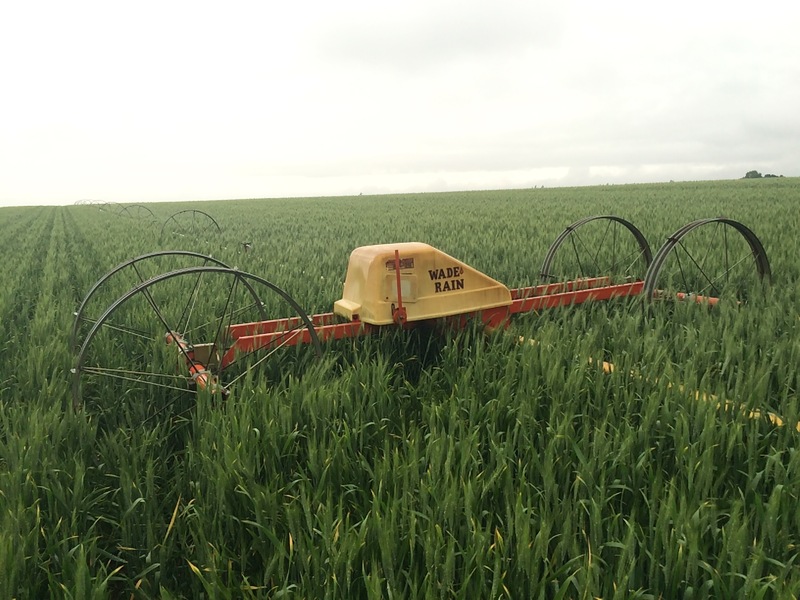 So keeping the wheat upright this time of year is a very important job! As you can see, the rest of the field is looking very good! Lots of heads of wheat, and very uniform. The great farm dog Yukon is obviously an old veteran of running through fields, following in the path of the wheel line to make the least amount of damage. What a good boy! 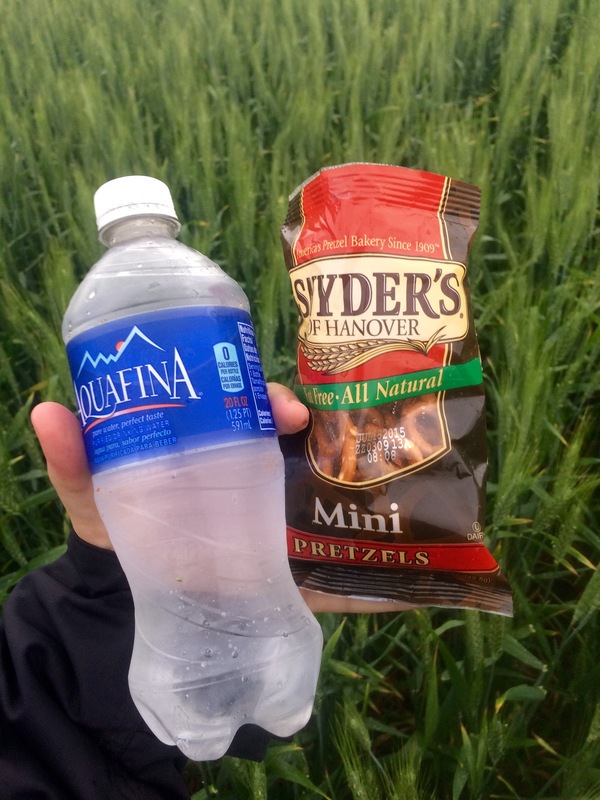 And as a side note…for all you pregnant farmers, don’t ever go out moving irrigation without a snack! 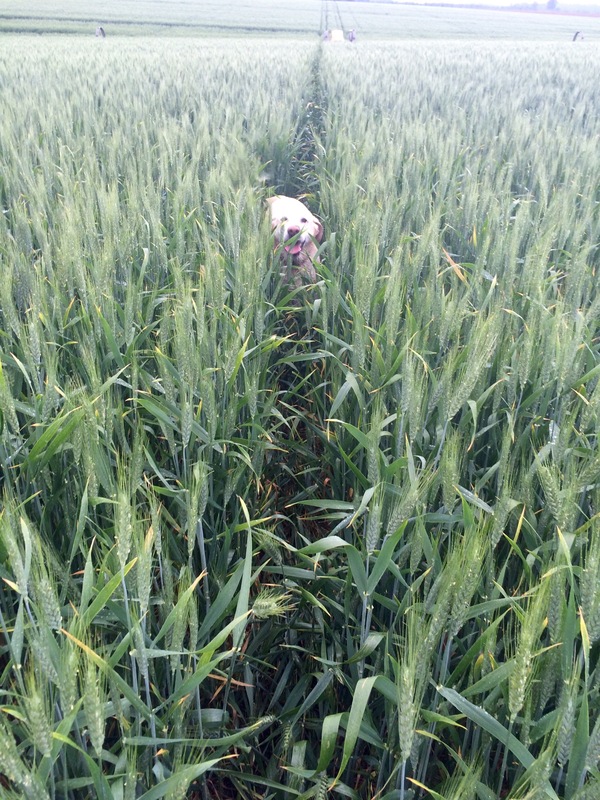 Is that soft white wheat , what type of yield do you expect , are you limited to water usage ? Congrats on the baby making!!! Thanks for your questions!! It is soft white wheat, spring wheat. We usually average around 110 bushel per acre. And no we are lucky to not be limited in our water usage on our crops. And thanks for the congrats! We are very excited! !